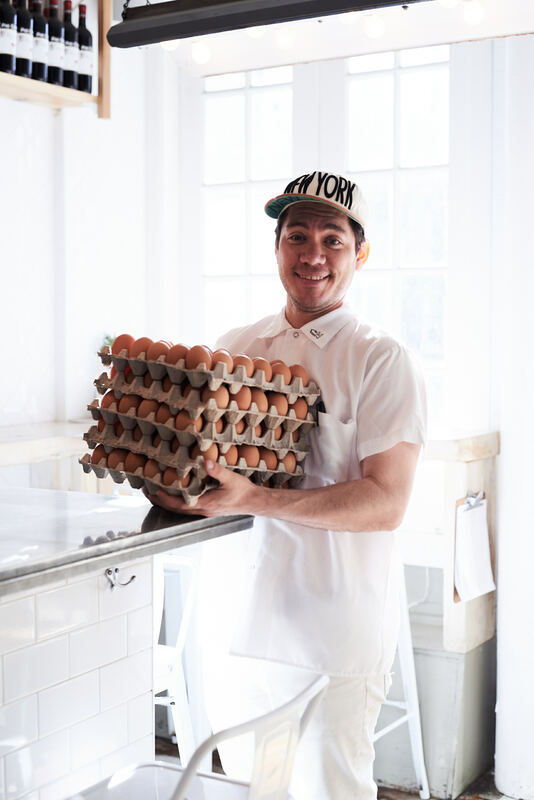 Nick Korbee is the executive chef of Egg Shop here in NYC. With locations in Williamsburg and SoHo Egg shop offers eggcelent versions of many staples. From the BEC to the So Cal burrito they’re doing it right alongside great cocktails and a full bar. Harry and Nick discuss eggs, MFK Fisher, Tamagoyaki, and practicing cooking in your underwear while on the phone. Tune in! and grab a Bacon Egg and Cheese or a Burrito.